Nasieku is expecting her fourth child. She has come for antenatal check up at Kapedo Health Center 111, Kabong district in Karamoja. She gave birth to two of her children from home. “It is humiliating for me to have a torch pointing at my private parts when giving birth. If there is no electricity at the health centre, I would rather stay at home and give birth with the help of a traditional birth attendant.” She said in her local language. The expectant mothers that I spoke to in various health Centres in Kotido and Moroto share Nasieku’s sentiments, yet delivering from home puts mothers and their newborns at risk of infection and even death. I met Nasieku during a visit organized by UN Women Uganda office to galvanize support for powering health facilities. UN Women believes that lack of access to modern forms energy or energy poverty has both direct and indirect negative effects on health and medical care facilities. These include inability of health centres to provide life saving emergency obstetric care in cases of pregnancy and delivery complications, attention to neonates and premature babies; clinical services after sunset, adequate lighting conditions for childbirth and surgical operations, refrigeration of vaccines and medicines, sterilization of medical equipment and tools; and power for laboratory diagnostic equipment. “No client wants to come to a health centre that doesn’t have facilities. When there is power, word goes around that there is power and the numbers of mothers that visit the health centers increases.” Says Dr. Nalibe Sharif District Health Officer Kabong. Kabong district not being on the national power grid is a challenge, to solve this , the health facilities have resorted to using innovative sources of energy. Under the Peace, Recovery and Development Plan (PRDP), solar panels were installed in all the 29 health facilities in the district. 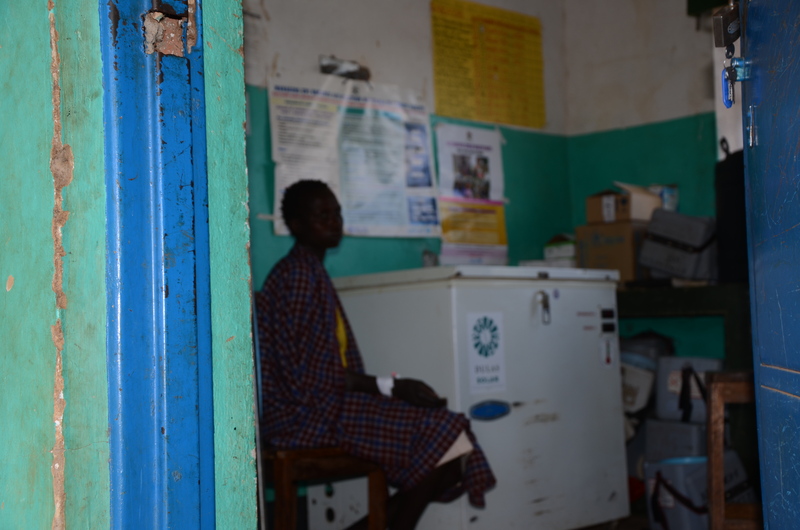 At Kapedo Health Center 111, the solar system in place is weak; Although it is reserved to light only at night , the light will work for only one and half hours meaning that the midwives have no choice but to use torches to help mothers during delivery. 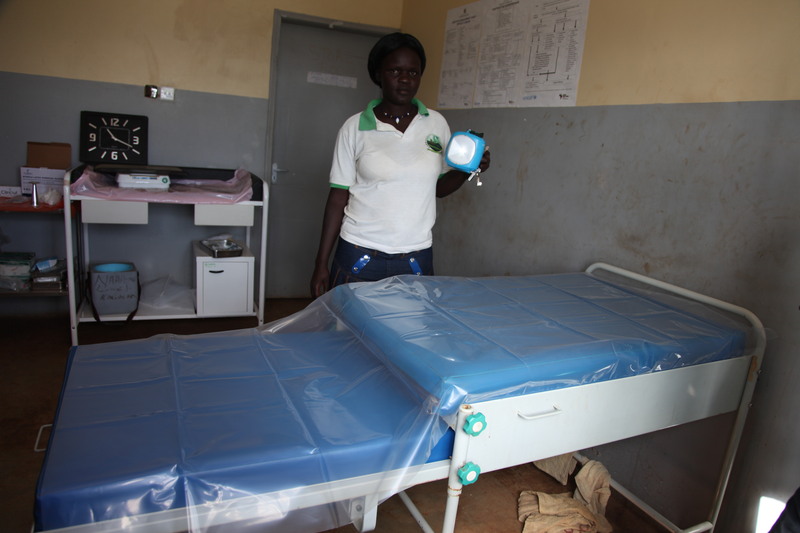 “This solar suitcase has made our work easy,” says Acech Rebecca Nursing officer at Rupa health Centre 111. Yet with all these innovations, the energy required in the health Centre is not sufficient to solve other energy needs such as refrigeration and sterilization. “We need solar systems with a mini grid because these small solar systems at the health centres are not sustainable. For example there are solar systems that were installed by the Ministry of Health ten years ago and they have never come back for any maintenance.” Says Dr. Nalibe. Although the government of Uganda has taken strides in ensuring that the physical structures are near to the people of Karamoja, more must be done. There must be renewed determination to upgrade the solar systems and invest in alternative sources of clean renewable and sustainable energy such as wind energy but obviously the best option would be for every area in the country to be on the power grid. ← Can airtime expenditure data tell us about your level of income?